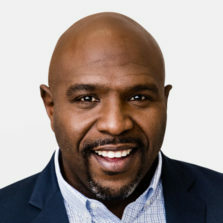 Chris Hogan has served as a leader in the banking industry, owned his own mortgage company, and coached everyone from families living paycheck to paycheck to celebrities and professional athletes. He knows how money works, and he has a passion for helping families prepare for the future. Chris has spoken to hundreds of thousands of people since 2010 and has become a sought-after speaker who loves to challenge, empower, and inspire audiences. Read our research study on Millennials and Retirement here. Read our research study on Retirement Education here. Read our research study on Stress and Anxiety Surrounding Retirement here. Read our research study on America’s Retirement Crisis here. For media inquiries, don't hesitate to send us an email or give us a call.